13 Above: Intel's Pain Party ! The worse the economy gets, the faster the chip giant plans to move. BURLINGAME, Calif. -- The economy is in the tank. PC sales are in a funk. And Intel shares have lost more than a third of their value over the past year. So why is Stacy Smith, the chip giant's chief financial officer, smiling? Hey, you would too if you had $3.5 billion in cash, $4.2 billion in short-term securities, a business with a gross margin of 46% after getting hammered by a recession and a plan to spend billions to upgrade your factories to crank out better products. Sales, meanwhile, are better than they were. "The best sign is what's happening on our order desk," Smith says. In short, we've now reached the moment the dudes at Intel live for : an opportunity to push forward as competitors are struggling to catch their breath. Intel's management team will get a little bit of vindication, too, when they invite investors to Santa Clara, Calif., for the company's analyst day next month. Last year, Intel was selling skeptics on the need to begin selling radically cheaper processors. Twelve months and one stock-market collapse later, Intel's plan looks smart. Sales of PCs have nosedived, but consumers are snapping up the cheap, Web-friendly notebooks ASUS, Hewlett-Packard and Dell are building around Intel's Atom. "The netbook phenomenon even caught us a little by surprise," Smith says. Still, after Intel successfully called its shot last year, investors will be paying close attention as Smith outlines this year's big bet--and it's a doozy. Intel plans to spend roughly $7 billion to upgrade its fabs this year, allowing it to crank out processors with features 32 nanometers wide. If demand is strong, that could allow Intel to command a premium price for chips built using a process technology its competitors can't match. If demand fades, Intel will take more fabs offline so they can upgrade them to the new process technology more quickly. In other words: The tougher the economy gets, the tougher Intel gets. "We're going to move as fast as possible to get as much of our capacity as possible on 32 nanometers." And that will only help Intel move more quickly to its next big opportunity. The plan: shrink the x86 processor design now powering servers and desktop computers enough to assault the market for mobile phones, unlocking a market for Intel many times the size of the netbook market it has conquered. To be sure, Smith says Intel's push into the smart-phone market will look very different than its drive into netbooks. 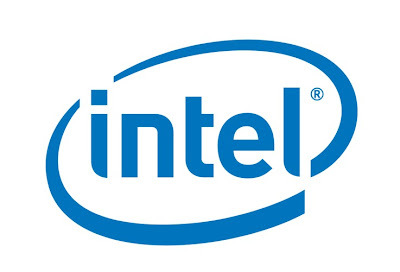 Intel was able to swallow most of the netbook market in a single gulp, since its Atom processor was able to deliver, almost immediately, the power and energy efficiency needed to run the scaled-down notebook computers. With smart phones, by contrast, Intel's processors won't play in the entire market at the same time. Intel's strategy hinges on using its process technology to shrink its powerful chips down to a smaller size, making them cheaper and more energy efficient. So while Intel will begin nibbling at the high end of that market by year-end, it will have to wait two years until it begins cranking out processors with features just 22 nanometers wide for more mainstream phones. 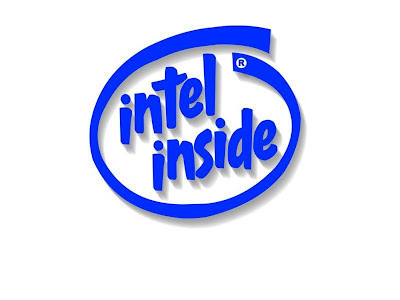 That will give Intel's competitors time. Shares of rival Advanced Micro Devices, for example, have rebounded sharply this year after it shed its capital-sucking chip fabs. Samsung, Texas Instruments and the pack of companies building processors for mobile phones based on ARM's mobile processor designs, meanwhile, are poking into the market for netbook computers. 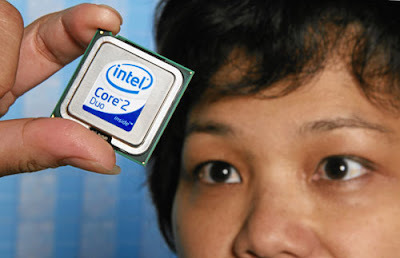 The worse the economy gets, however, the faster Intel will shrink its processors, and the less money competitors will have to keep up. "Making those investments into the downturn is a huge competitive advantage, and it's one our competitors can't make," Smith says. So, what can Intel's competitors do? Hope the economy gets better. Fast.